Need a reason to visit the Polynesian Cultural Center? We have them here. Some vacationers traveling to Hawaii often focus on its beaches and breathtaking landscape. But by doing so, they might miss on history and culture of Polynesia. So don’t be one of them. One of Oahu’s most exciting attractions for visitors is the Polynesian Cultural Center. 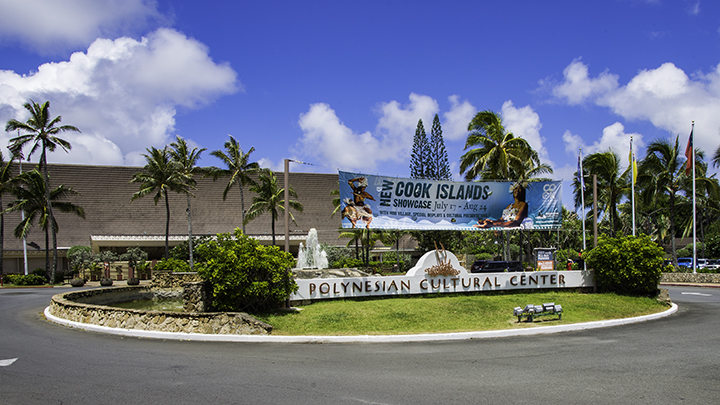 Here, you can learn about Polynesian cultures, watch live shows, learn new skills and taste authentic foods. With suitable entertainment for all ages, you should definitely visit the Polynesian Cultural Center. Set within scenic villages, you can visit areas focusing on various Polynesian culture. They include: Samoa, Aotearoa (the Maori name for New Zealand), Fiji, Tahiti, Tonga, Marquesas and Hawaii. Here, visitors can wander through a Samoan village. You’ll learn how Samoans prepared food and started fires from sticks. You’ll also find out how they made coconut milk and skillfully climbed coconut trees to harvest coconuts. You’ll explore world of the Maori, the indigenous people of New Zealand. Learn how they carved wood, danced the haka in preparation for war and what their tattoos signified. Kids can play Maori games and even try sporting a removable face tattoo. Visitors will appreciate the large and melodious drum playing of the Tongan people. Join in and become a part of the musical performance. Try the Tongan sitting dance, play shuffle board. Or also practice throwing spears. From their deadly weapons to an impressive 6-story temple, you’ll be impressed by the skills of the Fijians. Learn the historic significance of the temple’s design. And find out about the importance of certain religious practices for a typical Fijian temple. The Tahitian section will delight the senses with dancing, leis, music and delicious coconut bread. There is also a spear throwing area for those wanting to learn the art of Tahitian warfare. Don’t just watch hula in the Hawaiian section. Learn how the Hawaiians told stories through movement and music. Make leis. Taste poi. And find out more about the ancient Hawaiian kapu system and lua martial arts. Visitors to the cultural center can partake in the workshops, crafts and lessons. They include: Maori poi dancing, cooking Samoan food, tiki wood carving and racing canoes. The dining and shows are reasons why you should visit the Polynesian Cultural Center. After soaking up Polynesian culture, there are several dining options guests can choose from. Every day before the evening show, there is the Ali’i Luau Buffet. The doors open at 4:45 pm and the show begins at 5:30 pm. Guests are given flower leis before they dine. Dishes include steamed fish, poi, lomi salmon, poke, guava cake and fruit platters. The second option is the Prime Dining Buffet at the main dining hall starting at 5:00 pm daily. Entrées like shrimp scampi, prime rib or kalua pork are also available. They also come with fruit cups made of papaya and a variety of delectable Polynesian desserts. The third dining option is the Island Buffet which serves classic Asian, American and Polynesian plates. This might be the best option for groups where no one can agree on what to eat for dinner. From kalua pig to mochi, those who want have food from Hawaii island can do so. While others can choose typical American style meals. There is also a BBQ lunch available daily from noon to 1:45 pm. There are also places that sell sandwiches, snacks, burgers, hot dogs throughout the day. But be sure to save some room for dinner. This is because the evening feasts at the Polynesian Cultural Center are not to be missed. After dinner, there is a live performance every evening from 7:30 to 9 pm. It a big reason why so many tourists visit the Polynesian Cultural Center. Sit back with your family and watch a world-class performance. Watch fire throwing, dancing to rhythmic music and hula as the perfect way to end your day.